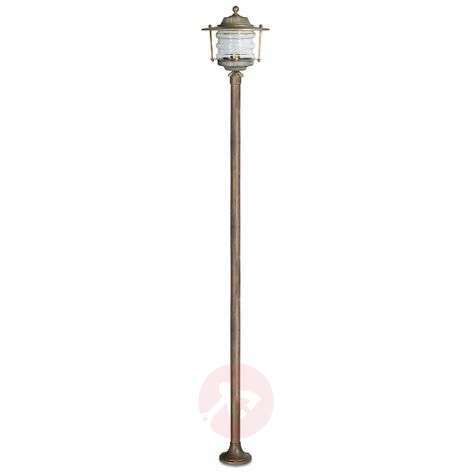 The robust Adessora Laterne post light can be used to decorate the most wide-ranging properties. 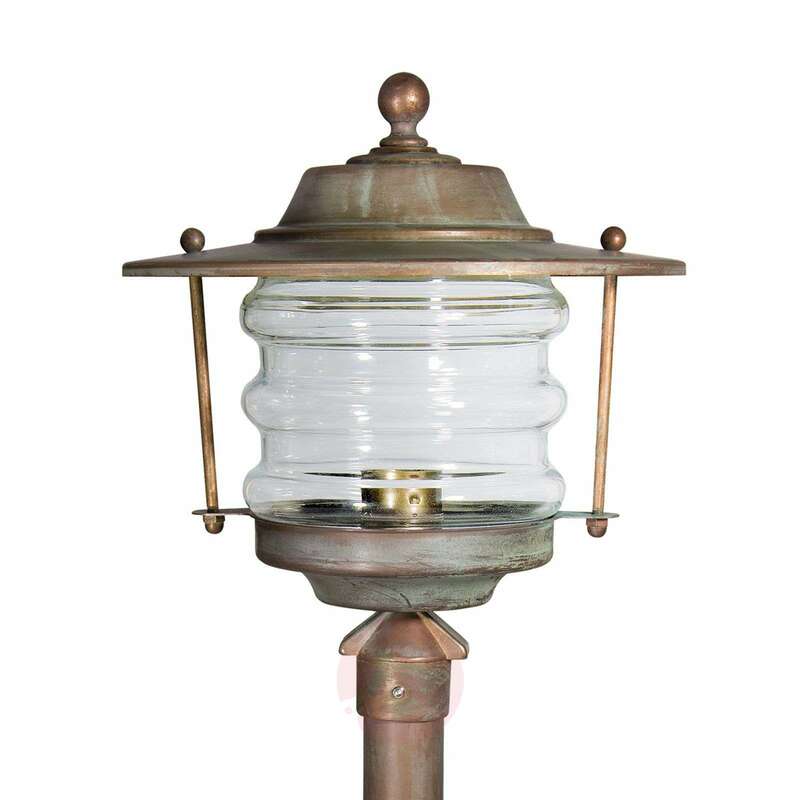 The corrosion-resistant metal ensures that the lantern can withstand seawater. As a result, Adessora is ideal for use in places near the coast. The unusual lantern comprises an antique-looking brass frame and a stylishly shaped glass, which ensures brightness across the area to be illuminated. The lantern is 180 cm tall and has a diameter of 26 cm.